Recently I’ve been featuring quite a few horse artists which has given me a new appreciation for how difficult it is to paint horses, especially in motion. It all started with Leonardo da Vinci, once I found some of his horses I decided I wanted to check out the equine animal from some of the greats throughout history. 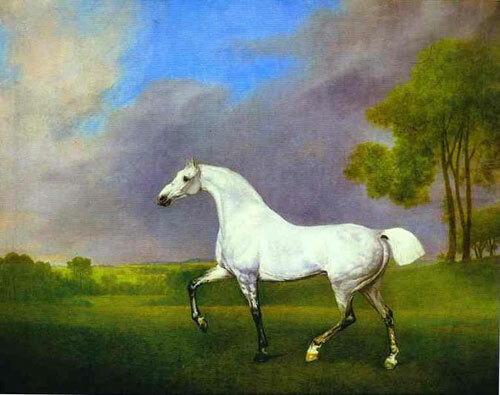 George Stubbs isn’t as well known as some of them, but his horse art is prolific and worth a view nonetheless. Although it is clear he loves horses, he also appears to love the force of nature as well. 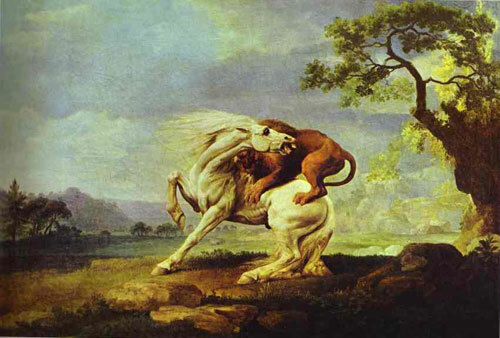 His art depicts the meeting between horse and lion on more than one occasion. Once I started finding his equine pieces I was afraid the I would never find the end of them. It is clear that George’s talent lay in his brushes, not in the art of words. The names of his works are repetitive and very literal, but his artwork sublime. You can find more of his work at the Tate Museum. 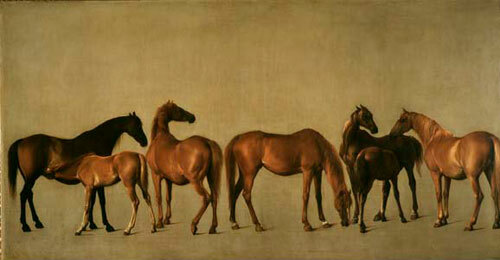 Be sure to check out the horses of Leonardo da Vinci and Picasso too. 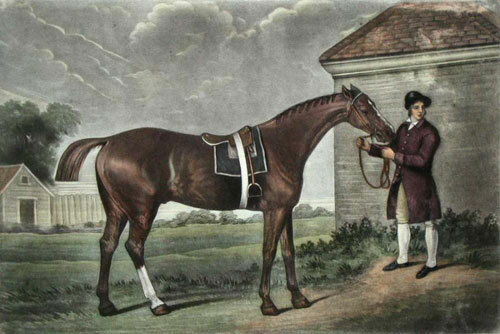 This entry was posted in Horse Art on May 2, 2009 by The Equinest. 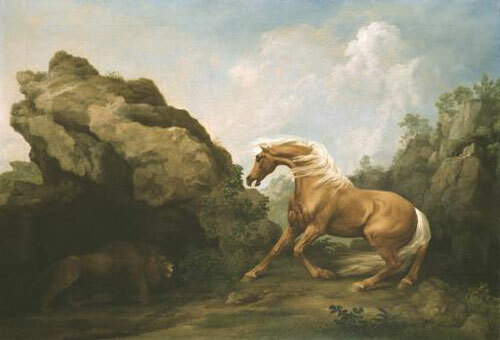 Quite a few horse artist are familiar with George Stubbs horse art. I noticed that the form of his horses vary and wonder the time span and if the better drawn ones (proportionally correct) are much later than some of the others. 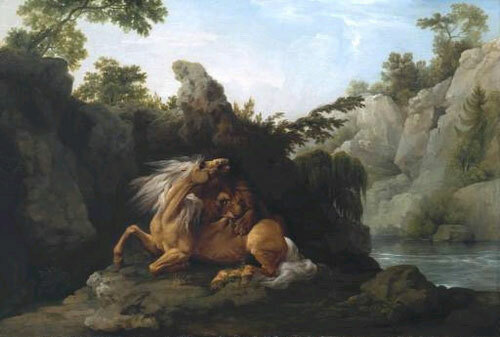 I love the color combination in “A Grey Horse” and “Horse Frightened By a Lion”. I agree that his artwork is more creative than his paintings’ titles. i love hrses i ride asswell but the only thing i dont like bout george stubbs is that he choose a palomino to get killed by the lion and i absolutely lllllllllllllooooooooooooooooooooovvvvvvvvveeeeeeeeeee palominos i ride one called piglet!!!!!!!!!!!!!!!!! I love Horses soooooooooo much!!!!!!!!!!!!! I came across a painting you did of a Leopard Appaloosa done in 2009. I would love more information and possible availability. Thanks. In the 1700’s artists didn’t have the aid of a camera. 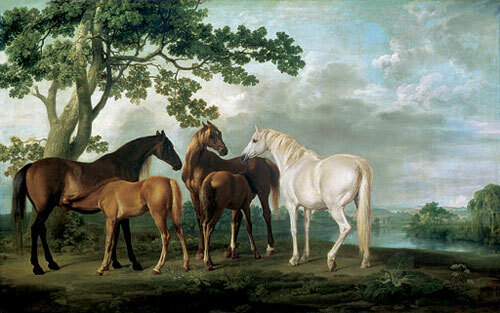 George Stubbs technique is probably marvelous to see in person but nowadays I don’t see horses that look like these. 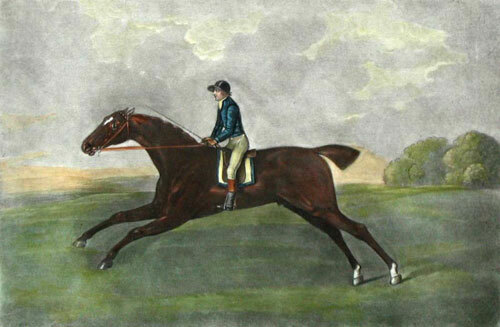 I think perhaps artists portrayed horses as they “felt” the appeared in real lie. In the 1700’s artists didn’t have the aid of a camera. 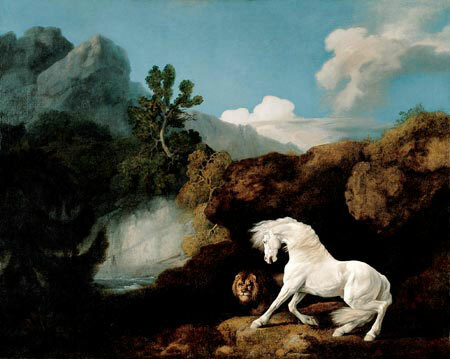 George Stubbs painting technique is probably marvelous to see in person. He probably painted horses as he “felt” they appeared. But, nowadays I sure don’t see any horses that look like these. well, i ride horses i own a bucksin named spirit! 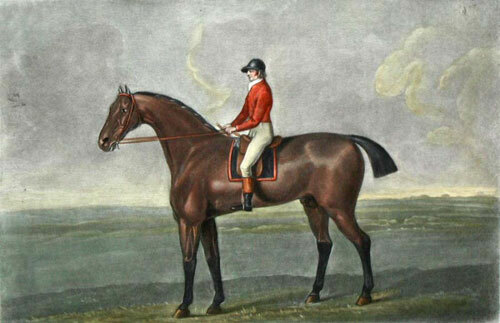 anyway i’ve done some reseach on him, stubbs, and i believe he is very talented but what i notice is that the horses heads r very small when he paints but still very talented work this man has done! I love the compositions of some, like the white dog and bay horse, with the reverse coloured backgrounds to show off the subjects. 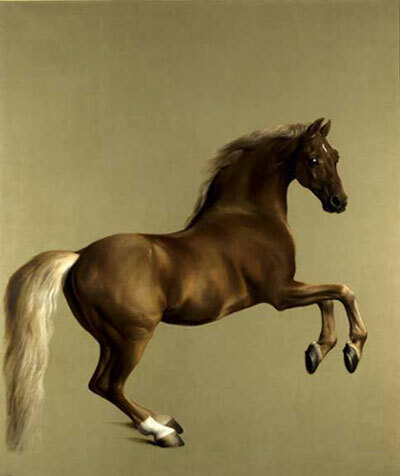 I know George Stubbs was so passionate about painting his subjects correctly that he used to dissect carthorses to study their anatomy. That presumably came after the painting of Lurcher. But it raises more questions, because – dare-I-say-it – his horses are still not really lifelike. I admire his work – Whistlejacket is my avatar on facebook – but I’ve found myself thinking this many times. 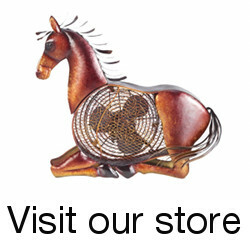 I LOOOOOOOOOOOOOOOOOOOOOOOOOOOOVE HORSES!!!!!!!!!!!!!!!!!! 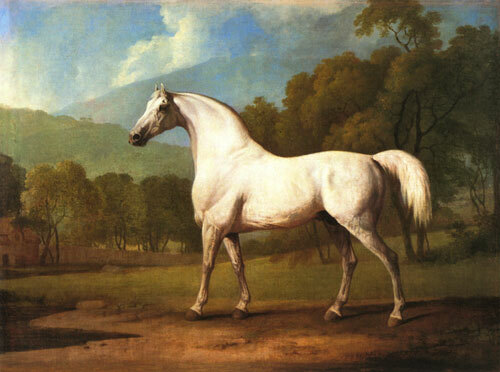 I’m doing a project on Stubbs and he does really good paintings! 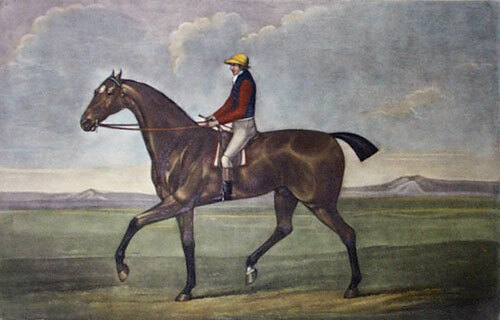 I have a painting he did of a black horse and I don’t know the name of it. Do you by any chance know? Weird that he paints such strange heads, but Whistlejacket in person is just breathtaking. A must see in the National Gallery. 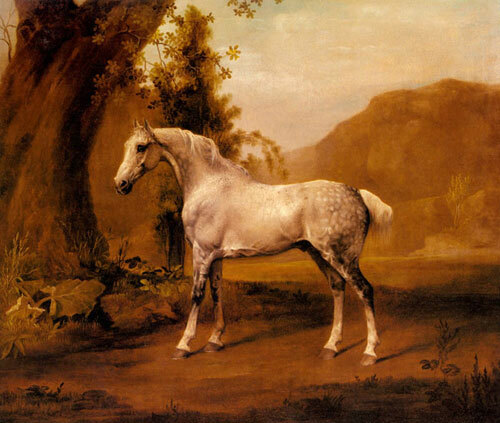 I also wondered about how different George Stubbs horses looked from today, but on searching photos from the 1800’s he was spot on. Our horses look nothing like the old breeds. Much stockier and smaller. 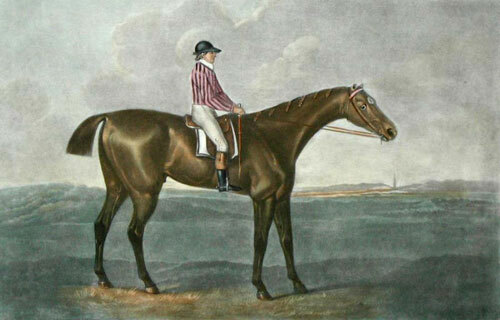 He’s one of the greatest equine painters. 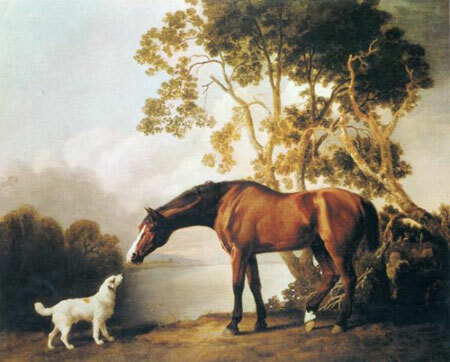 Where is the original bay horse and white dog painting please?